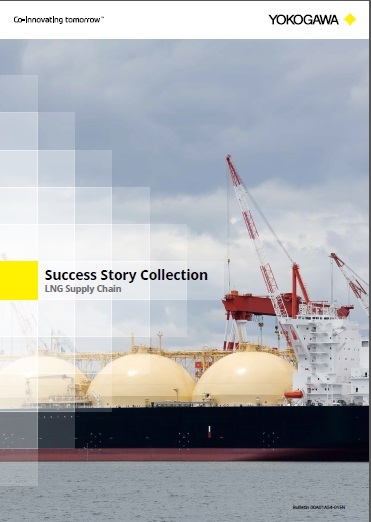 Yokogawa's Advanced Process Control (APC) technology enables LNG plant managers to flexibly change their operating strategies to meet annual production targets, maximizing production when demand is at a peak and maximizing energy efficiency during periods of lean demand. 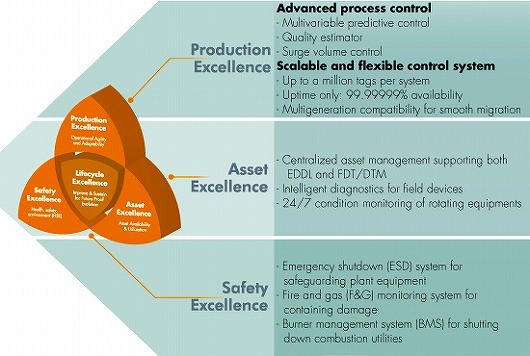 The technology also allows plant managers to frequently change their operating strategies and maximize the production of either LPG or LNG in response to fluctuating product prices. Relaxing the control of LPG and LNG specifications can result in severely off-specification products, and so most plants operate above the minimum specifications. Yokogawa's APC stabilizes the plant and enables operation closer to the minimum specifications, which is a major benefit for LNG plants. Projects have shown an excellent return on investment, a remarkable improvement in the stability of plant operation, and a major reduction in manual intervention. At Oman LNG, OTS training is a major focus for operational efficiency. Operators and trainers are required to deal with various scenarios such as emergency response and malfunction before being assigned to work at the actual plant. Yokogawa’s “OmegaLand” is a powerful OTS simulator product that dynamically simulates processes in an actual plant and is used to model the processes at Oman LNG. Having been used for over one year now, the OTS is accurately modeling the overall process and requires no further adjustment. It reproduces a robust, stable, inter-linking dynamic process model that simulates the same operating environment as the actual plant. Oman LNG will continue to apply new technologies and solutions to ensure stable and efficient operation of its facilities.